On March 2, 2016, Dr. Seuss’ birthday, the tables were turned on seven Adams Elementary READ teams when the handlers helped the school celebrate the birthday by reading stories to the students, with their dogs in attendance. 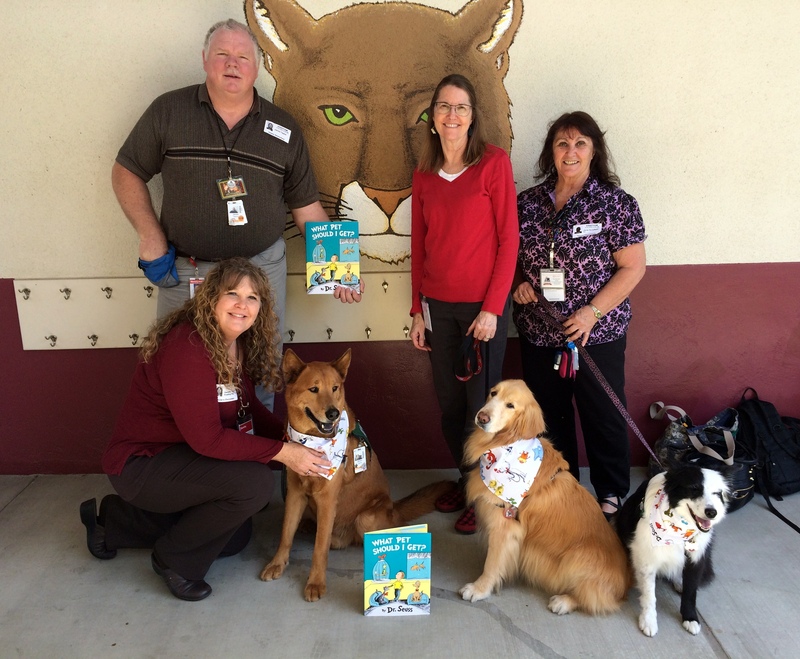 John Adams Elementary in Santa Ana, CA, has had AHF teams in their classrooms for eight years as reading dogs, with additional teams participating in the Adams monthly Saturday library program. On March 2, a combination of weekday and Saturday handlers brought their dogs to school and read books to the students. The participating teams were Gretchen Scott with Luna, Tammy Heider with Gracie, Suzanne Davidson with Juneau, Daleen Comer with Macy, Jim and Dorothy Taylor with Stryker, Geneva Comer with Bonnie, and Jane Horsfield with Kiss. During the entire school day, 8:30 – 1:30, dog teams were on campus going to different classrooms for 20-minute sessions, during which the handlers read stories to the students, and allowed time for all the students to pet the dogs. Throughout the day, 24 classes of students were visited by the dogs and their partners. The dogs were in the spirit of the event, wearing Seuss fabric bandannas made by one of the members of the group. The books read by the handlers varied: some chose childhood favorites, some selected books their own children had loved, some picked dog-themed books, and some read the new Dr. Seuss book, “Which Pet Should I Get?” The students appreciated seeing the handlers in a more active role, and the dogs enjoyed the novelty of visiting multiple classrooms during their visit. One teacher commented, “Besides having the dogs in their rooms, the students were so excited to see the different dogs walking around the campus. If you all felt as good about it as we did, this definitely needs to be an annual event.” The READ teams agree! March 10, 2016 — Nestle Purina has announced it is voluntarily recalling select lots of its Beneful and Purina Pro Plan wet dog foods because they may not contain the recommended level of vitamins and minerals. Purina discovered through its own testing that the affected dog food did not contain the recommended level of vitamins and minerals and voluntarily recalled the product. 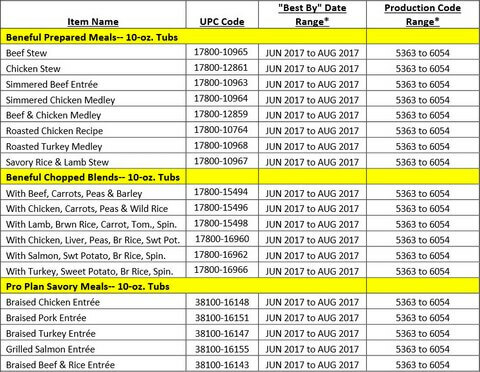 The recall includes select lots of wet dog food 10-oz. tubs under the Beneful Prepared Meals, Beneful Chopped Blends and Pro Plan Savory Meals brands. No other Purina products or sizes are affected. 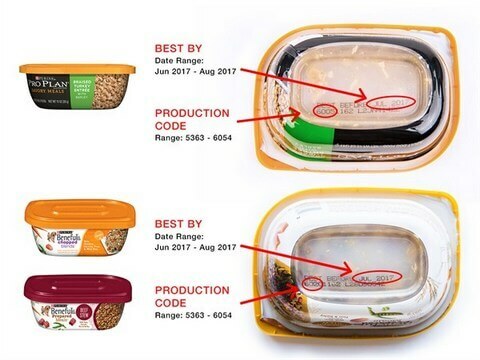 Purina is conducting this voluntary recall as a precaution for those dogs who may have eaten the affected product as their only meal for more than several weeks. If you have questions about your pet’s health, the company suggests that you contact your veterinarian. Although most of the recalled product contains all of the vitamins and minerals your dog needs, Purina recommends that you discard any of the affected product you may have. He displays amazing antics that make you laugh out loud, I mean belly laugh. That is truly therapeutic. The love and complete devotion he has for you as he stares up at you with his beautiful soulful amber eyes . His need to lay on you even though he is 80 pounds of pure muscle and lick your face until you can’t breathe. 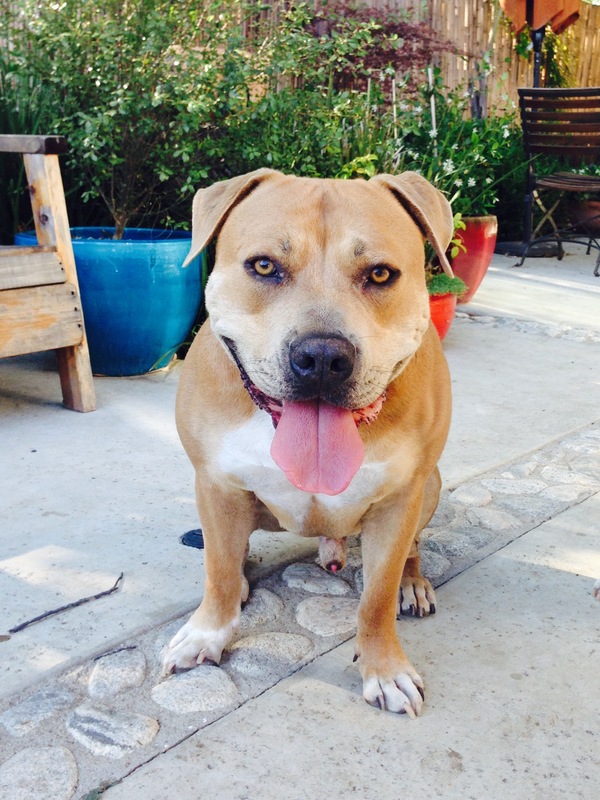 His amazing athleticism as he jumps up, twists around and catches the ball with all four paws off the grass. His enthusiasm of love whimpers and insanely fast wagging tail when you pull up to the house after you have been gone10 minutes or 5 hours. His 5 minute nesting ritual with numerous pillows, blankets, and any other object close in proximity. His desire to sleep under the covers; close to you at all times. Bottom line, he loves to love you, forever and ever, amen.